Home / Flooring / What Are the Differences Between Different Engineered Flooring Plys? 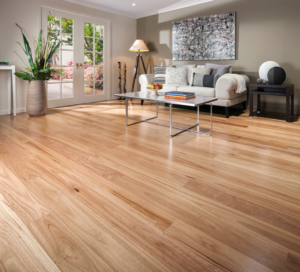 When you decide to use engineered wood as a flooring option in your home, you’re choosing a high-quality and hardwearing floor that will last for many years and that is able to withstand fluctuations in temperature and humidity without warping or cracking. Surprisingly, you could even find that you lose weight too – according to a recent article in The Telegraph, wooden floors can actually help you to stay slim! The article claims that carpets contain harmful chemicals – obesogens – that can cause obesity. Whether the evidence stacks up or not, wooden floors are ideal for anyone with allergies – unlike carpets, they don’t harbour dust. Once you’ve made the decision to use engineered flooring in your home, it’s time to decide on the type of ply that you’d like. All engineered wood flooring is created by bonding layers of plywood together with glue and pressing them to create a solid core. The number of layers of ply used can vary between 3 and 12, and this core base is topped by a solid wood layer, which is known as the lamella. 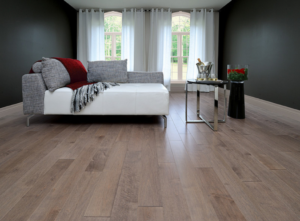 If you take a look at the products available from https://www.woodfloorwarehouse.co.uk/engineered-flooring.html, it’ll give you some idea of the range of options available for the lamella, from palest limed oak to black walnut and everything in between. Where three layers of ply are used for the core base of an engineered wooden floor, the finished floor won’t be quite as strong as equivalent flooring made from multi-layer construction. If you’re looking for a tongue and groove option, then you’re generally best off going for a multi-layer ply, as this offers the strongest solution for your needs. Multi-layer ply is the stronger option and is also best able to withstand fluctuations in temperature and humidity, making it the best option for rooms subject to extremes of temperature. It’s also the best option for underfloor heating, although it’s very important to double-check with your supplier before installing any wooden floor over underfloor heating, just to be sure. Three-ply engineered wooden flooring is the cheaper option and is perfect for installation over a clean, dry and level base layer. However, the thickness of the lamella also plays a part in pricing, giving you a wide choice of options.